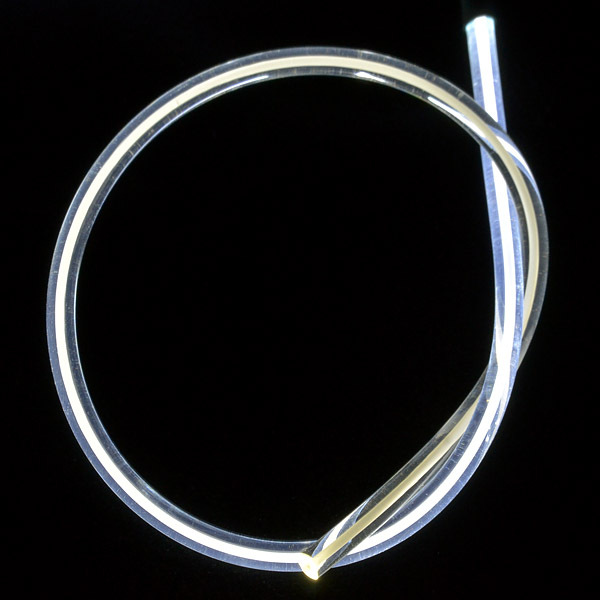 This is a 1 foot length of 3.5mm diameter light pipe. This light pipe has a white core that reflects light out and makes it visible in slightly brighter conditions. 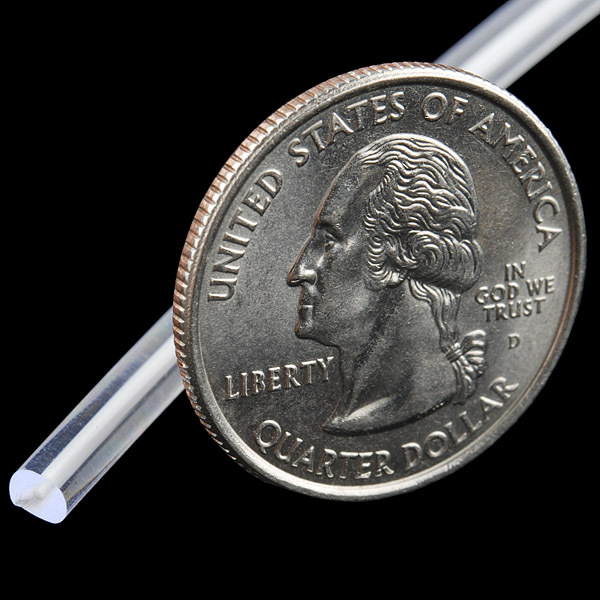 It can be easily connected to a basic 3mm LED with a length of shrink tubing or some tape. Not available in five feet length? 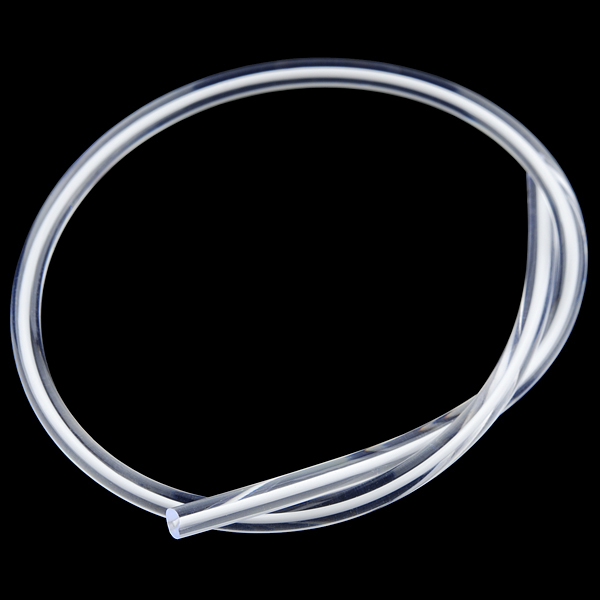 Light Pipe - White Core (3.5mm, 5' long) - do you habe stock of this item please? I used this to build my own fiber optic like module and surprisingly it works great! What's it made of? I would want to try to reshape it a little, taper it, etc. Would it take the light better if I were to drill a hole in the end and jam the LED in there, rather then just stick it on the end? The optics of it all is pretty complex, but I still had a piece of mine laying around so I just tried it instead, and I would say... marginally (it's a 'white core' one, though). It does make it easier to physically seat the LED to the pipe, but for what I used it for so far that hasn't really been an issue. Do any of the staff bother to read any of these posts? I have similar questions to those already posted and I see they have been completely ignored by the Sparkfun staff. Is Sparkfun interested at all in making any sales? These comments are meant more for customer reactions and such. If you wish to know more about a product, we have a tech support department that does exactly that. For direct questions for us, you must use our tech support department. You can contact them at techsupport@sparkfun.com. We do care, but we have almost 2000 products and do not directly read and respond to everyone's question. However, our tech support department is there to answer every last question that is asked to them. Is this 3.5mm or 3mm? The title says one, the description says the other. How about a super bright RGB LED? There is no reason why you can't use ANY LED. It's just an optical rope basically. Can I buy this in 5' lengths? is the side-lighting bright enough to be seen in normal indoor light conditions? What if the end is capped with a reflector? They do alright, you can put one LED at each end or a reflector like you mentioned and they'll do alright. 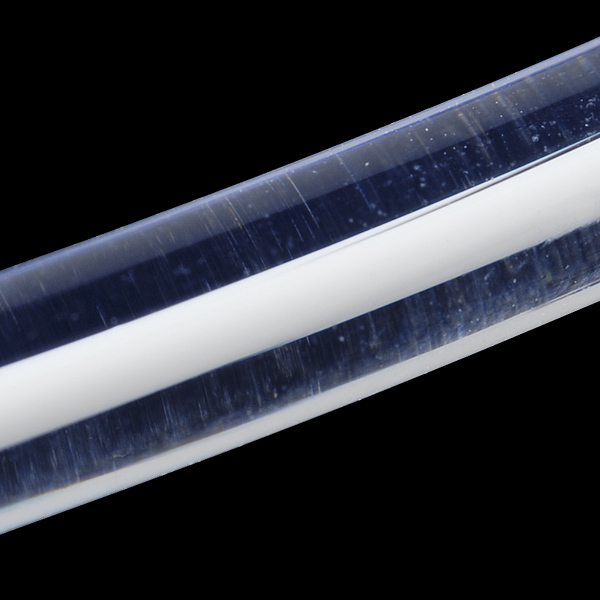 What is better for seeing light along the length of the tube (side-lighting), the clear core or white core?